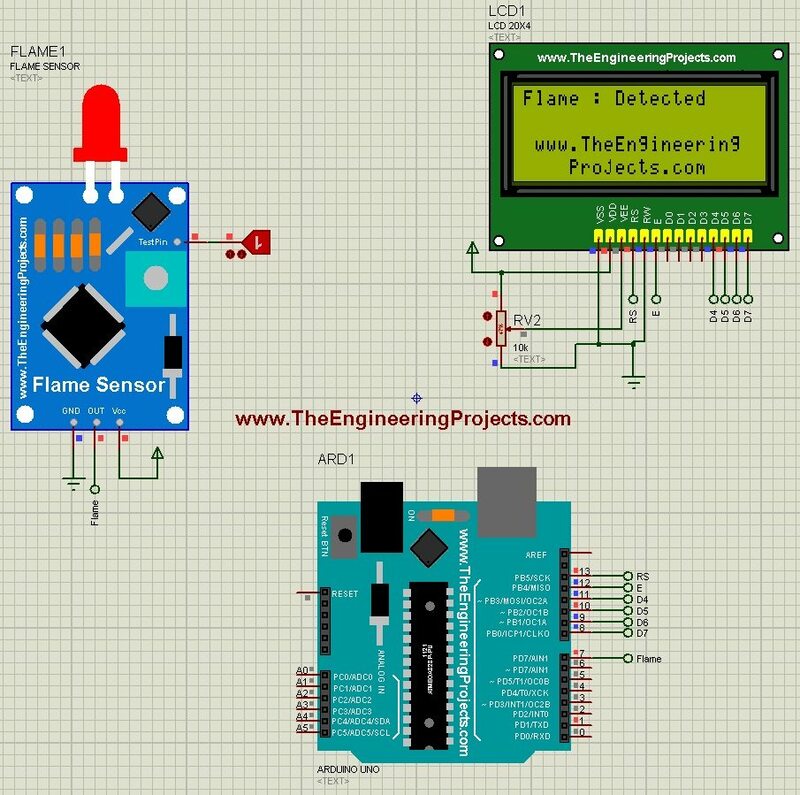 A complete step by step tutorial on Interfacing of Flame Sensor with Arduino. Hello friends, I hope you all are fine and having fun with your lives. 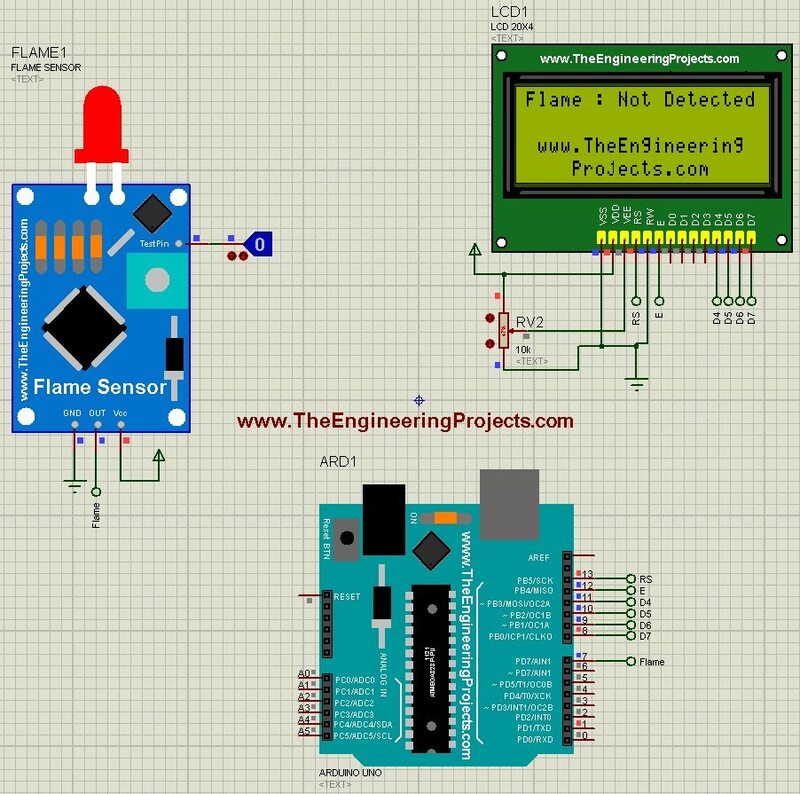 Today, I am going to share a new tutorial which is Interfacing of Flame Sensor with Arduino. I have recently posted a tutorial in which I have shared the Flame Sensor Library for Proteus. 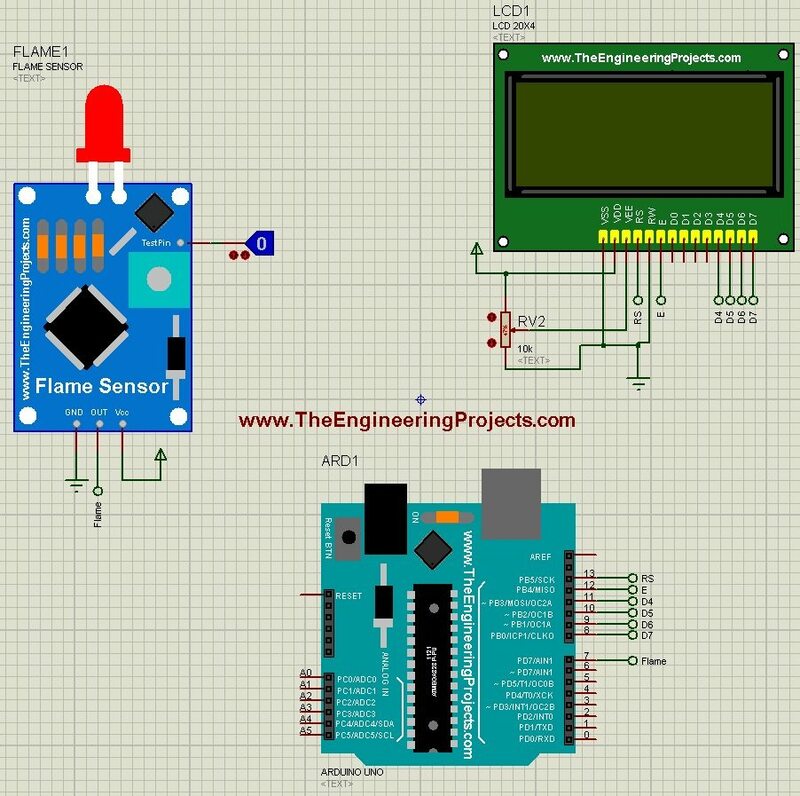 Now in this tutorial, I am gonna use that Flame Sensor Library and will interface this Flame Sensor with Arduino. So, if you haven’t downloaded this file then I suggest you to download this Flame Sensor Library so that you can easily simulate this flame Sensor in Proteus. Now, let’s design it in Proteus by ourselves. So, first of all, download the Flame Sensor Library for Proteus and also download the Arduino Library for Proteus. On more Library you will need is New LCD Library for Proteus. Add this code in your Arduino software and compile it to get the Hex File from Arduino Software. In the above figure, you can see the sensor is off that’s why in the LCD its written that no smoke detected. Now you can see in the above figure that when the Flame is detected then the LCD indicated that Flame has detected. That’s how we can easily simulate the Flame Sensor with Arduino. That’s all for today. I hope you have enjoyed this project and now you can easily interface your Flame Sensor with Arduino in Proteus ISIS.